Shipping: Orders received before 2 PM Monday through Friday Pacific Time will ship the same day via UPS or USPS. We do not ship on Saturday and Sunday. USPS Express mail is usually next day delivery but sometimes it is a 2 day delivery in rural areas. If there are any questions please call us at 310.328.7557 to confirm shipping times. 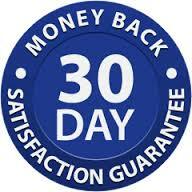 Return Policy: 30 day no questions asked returns. Customer pays to return the item. MedReady will refund the cost of device less MedReady’s original shipping cost to customer (if free shipping option was used). Warranty: Rarely do we have any issues, but if necessary we have a 1 year Parts and Labor warranty serviced at our Torrance, California Facility. We are the Manufacturer, we will make it right for you one way or another. Each party pays shipping if product is more than 30 days old, otherwise MedReady pays shipping both directions. Privacy: MedReady, Inc. does not share information unless legally required by a court order. MedReady Inc. uses 3rd party providers such as Paypal, Amazon, etc.. to process payments, and no credit card info is stored on MedReady’s servers. MedReady’s site is protected by SSL. We’re in the Medication Dispenser manufacturing business, not in any data collection, or selling of any data whatsoever.